Good condition, nothing wrong with it. No cracks or dents, no problems with rear shock. Size is Large, 17, 24.4" top tube. Comes with headset, rear axle 12x150mm, rear shock, and seat post. Message me if interested. Roller assembly was broken off and replaced with a custom one. Seems to work decently. ISCG old mount. Message me if interested. Good condition, nothing wrong with it. Compatible with Mega Exo 24mm BB. 175mm arm length. Message me if interested. Wheel is in good condition. Not bent. 10x135mm qr rear axle. Disc hub. Tire is in alright condition. Message me if interested. 2007 -2432- Devinci Frantik 3 Frame 17" Silver 7"
Decent condition, has some signs of use. All bushings are tight. No cracks or big dents. Comes with Fox DHX 5.0 rear shock, rear axle 12x150mm, 1.5 headset loose ball FSA The Pig, seat post, and ISCG old tab. Message me if interested. True and works well. QR front 6 bolt disc hub, 9x100mm spacing. Tire at 30% tread. Message me if interested. Decent condition but some paint missing here and there. Comes with tires. 6 bolt disc hubs, 135x10mm rear, 9mm QR front. Message me if interested. Good condition, nothing wrong with it. Disc hub, QR. Comes with Kenda Krad tire. Message me if interested. Logan Industrial. The sticker on the steerer tube says 2003 $399.99. It isn't in the best cosmetic condition but it works well and is not leaking. Normal QR dropouts. Steerer tube is 1 1/8" and 7.75" long. Message me if interested. Decent condition. Nothing wrong with it, not bent, no flat spots. 9x135mm spacing, QR axle, 8-10s freehub. Message me if interested. Good condition. True. Works well. Deore QR front hub, 6 bolt disc. Message me if interested. -2377- Solar V-Brake Single Speed Wheel 26"
Good condition, true, works well. 14t freewheel, 135x10mm bolt on axle, 6 bolt disc. Comes with tire. Message me if interested. Good condition, true, outer spokes on drive side have some chain bite. 135x10mm hub spacing, 8-10s freeshub, Giant Tracker hub. Message me if interested. Good condition, nothing wrong with cranks or BB. Arm length is 175mm, BB size is 68/73mm. Left hand drive. Good condition, works well, nothing wrong with it. It is true, no dents. Comes with non drive side cone hub guard, tire (50% tread) and tube. Message me if interested. Decent condition. Work well. 22/32/44t chainrings. BB included. Great condition, nothing wrong with it, no leaks. 15mm thru axle, fits 27.5" wheels. Tapered steerer tube, 1.5" to 1 1/8", length is 180mm. Message me if interested. Have been painted. Work well. 20cm long steerer tube. Message me if interested. Decent condition, unique frame. Comes with headset, derailleur hanger, lizzard skin, and seat clamp. Message me if interested. Good condition, true, nothing wrong with it. Double wall. 135x10mm rear axle, QR. 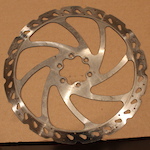 6 bolt disc hub, 8-10s cassette compatible. Message me if interested. Nothing wrong with it, works well. 50mm chainline. 34.9mm clamp. Top and bottom pull. Message me if interested. Nothing wrong with it. Hub spins well and is true. Flat spokes, comes with rim tape. Message me if interested. New never used. Standard ISO thread on freewheel 1.375 x 24 TPI. 3/8"x135mm spacing. Bolt on axle. 36 hole. Message me if interested. $100 - KS i900-R Dropper Seat Post 31.6mm, doesn't always fully extend, but works decently. 120mm of travel, comes with remote and cable. 31.6mm post, 290mm long - $10 30.8mm to 27.2mm shim - $5 SDG i-Fly Saddle and i-Beam Seat post 27. -2318- 1996 Proflex 856 XC Mountain Bike Vintage 20"
Good condition for age, it does have some scratches and marks. Nothing wrong with it. Not all original. 24 speed Shimano Deore XT derailleurs. Rock Shox Physlo fork. 26" wheels. 20" frame. Message me if interested. Rear has a small hop and is a bit out of true, front is just a bit out of true, nothing big, very rideable. Rear hub is 135x10mm QR, front is 15x100mm through axle. 8-10s freehub. Message me if interested. Great condition, nothing wrong with it. 175mm arm length. Comes with 68/73mm BB and 3 chainrings, 24t, 32t, 42t. Message me if interested. Fork is in decent condition. Left seal leaks just a bit. Works well other than that. 80-125mm travel, aluminum steerer tube that is 195mm long. Finish is worn and there are some big scratches, nothing else wrong with them. 83mm BB, 175mm arms. Works well, nothing wrong with it. ISCG old mount. Comes with bolts. Message me if interested. Decent condition, nothing wrong with it. Pads at about 75% life. Line length is 830mm. Message me if interested. Wheel is straight, some skuffing on one part of rim. 26", front, standard QR axle, 6 bolt disc. Message me if interested. Freehub body has play. Cosmetic condition of wheel is bad. Other then that it works well. It is straight. Comes with tire. Message me if interested. Alright condition, has use marks. Works well. 83mm BB, 170mm crank arm length. Message me if interested. Also have a 165mm set, same price, same BB size. 2005 -2295- Norco Tactik Frame Medium Red 18.5"
Decent condition but does have signs of use. No cracks or dents. Comes with seat, post, clamp, headset, and derailleur hanger. Message me if interested. Decent condition, nothing wrong with it. 8-10s cassette compatible, 6 bolt disc, 150x12mm, 32 hole. Message me if interested. 85% tread left. Good condition. Message me if interested. -2359- Mavis XC 717 Disc Wheelset XT Hub 26"
Wheelset is in good condition, nothing wrong with it, both wheels are true. Rear hub is a Deore XT 135x10mm, 8-10s freehub, front is Specialized with a 10mm through axle. Both are 6 bolt disc. Message me if interested. Comes with bash guard and chainring, good condition, nothing wrong with it. Comes with hardware. Message me if interested. Nothing wrong with the crankset, BB works well, 83mm. Arm length is 175mm. Comes with chainrings and bashguard. Message me if interested. Rear wheel is a bit bent, front is true. Nothing wrong with either. Rear hub is a Shimano QR, 135x10mm. Front is bolt on 100x10mm. Front has tire included. 26x2.10. Both are 6 bolt disc hubs. Good condition. It is true. Hub works well. Center lock rotor compatible. 26". QR, but skewer not included. Message me if interested. Not sure if generator works. Hubs spin well, wheels are true. 7 speed rear freehub, 10x135mm rear spacing, 9x100mm front. Comes with tires, alright condition. Message me if interested. 2003 -2402- Giant NRS3 Full Suspension Bike 18.5"
Decent condition for age, has dent on top tube, everything works. 18.5" frame, 26" wheels, front and rear suspension, 3x9 speed gears. Message me if interested. Shipping in Canada is around $100. Shipping to USA is $185-$260. Good condition, work well. Tapered steerer tube, 1.5" - 1 1/8", 165mm long. 100mm travel, medium spring, 51mm offset, 9mm dropouts, 29" wheel fitment, lockout. Message me if interested. -2398- Mavic 317Disc Wheelset 26"
Good condition, true and spin well. Shimano rear hub, 135x10mm, 9 speed cassette, QR, 6 bolt disc. Specialized front hub, 9mm QR. Tires in good condition. Wheelset in decent condition, is true and works well. Last Zakk rear hub, 10x135mm spacing, female axle, 14t cog. Front hub is DMR, QR skewer not included. Message me if interested. Fork leaks but other than that it works well. 120mm of travel, 1 1/8" steerer tube 7" long, disc and v-brake mounts, QR dropouts. Message me if interested. Decent condition, works well but left seal is leaking. 20cm long steerer tube. Good condition. Nothing wrong with them. Comes with chain rings 22/32/44t and BB. Message me if interested. -2454- Santa Cruz Superlight XC Frame Orange 20"
Good condition, nothing wrong with it. 20" seat tube, 135x10mm rear spacing, straight 1 1/8" steerer tube. Comes with rear shock, Bontrager seat post, Chromag seat clamp. Decent condition, no dents, both wheels are true, hubs work well. Hub spacing is 150x12mm rear, 110x20mm front. Both are 6 bolt disc. Comes with 2 bad condition tires and 9s cassette. Message me if interested. Good condition, nothing wrong with them. 180mm discs, mounts, and hardware included. 850mm and 1350mm line lengths. Message me if interested. Decent condition and work well. Nothing wrong with them. Not sure on year. Steerer tube is tapered, 198mm long. 20x110mm thru axle. Message me if interested. 2014 -2452- RockShox Sektor RL Gold Fork 150mm Black 26"
Decent condition, some marks on the rims. Hubs are in good condition. Wheels are true. Rear hub has all new bearings, spacing is 12x150mm, 6 bolt disc, Formula. Front is a Dirty hub, 20mm, 6 bolt disc. Message me if interested. Alight condition, has some marks and pant rub. Nothing wrong with it. Spindle fits a 83mm BB only. Message me if interested. Decent condition, nothing wrong with them, some signs of use. Pads at about 80%. 203mm discs included. Rear 203mm IS-PM mount included. Front has no mount. Message me if interested. Alright condition, work well, nothing wrong with them. 9/10mm dropouts. 100mm of travel. 188mm long steerer tube, 1 1/8" diameter. Message me if interested. Very good condition. Nothing wrong with them. They will only fit a 83mm BB. 104mm BCD only. Message me if interested. Wheels are in decent condition, rear has small hop but other than that they are true. DT Swiss 440 Freeride hubs, 20mm front hub, 150x12mm rear hub, nothing wrong with them, rear freehub has cassette bite. Message me if interested. 2011 -2437- Fox Talas R 36 Fork 160mm Black Tapered 26"
-2415- DT Swiss XCR17 Cross Mountain Rear Wheel 26"
Good condition. Nothing wrong with it. Hub is also a XCR 17, 135x10mm spacing, QR, 8-10s freehub. Comes with Racing Ralph tire, 26x2.25", 75% tread. Message me if interested.